The Newest B﻿ooks by Aradia Zenobia - due in bookstores soon!! We know that we are supposed to dream and that we can reach those dreams . . . but how? 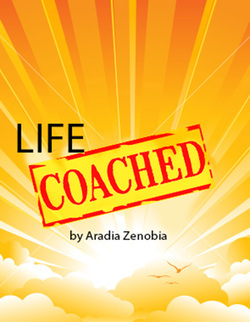 In this common sense manual Aradia Zenobia walks the reader through that phenomenon known as "Life Coaching". What it is and what it can (and cannot do for you) are subjects of great debate, but with the information she provides here making a decision about whether or not hiring a personal coach is the right thing for you is easy. With her factual approach, sensible information and encouraging explanations she pulls back the veil on the scams, the unethical and the just plain confusing and serves as a coach herself. A coach who helps you find the best possible path forward for you as an individual and allows you to feel confidence and peace in whatever decision you feel is right for you. Once again Aradia Zenobia proves that she cares for the average person and truly wants to help them achieve their full potential and the happiness and fulfillment that it brings. A MUST first-read if you have ever thought about seeking a coach for yourself. Leading is not about the individual calling himself a leader - it is about the people he leads. Knowing and understanding that everyone counts and that vision is about all those who share it is the first step to becoming a great leader. In this landmark book Aradia Zenobia talks about personal responsibility, courage, making hard choices and the role kindness plays in achieving the highest level of success for yourself and those who would follow your lead. 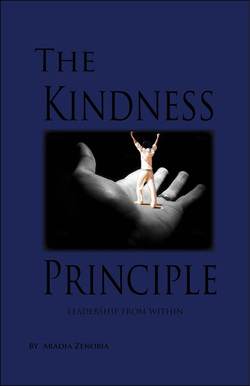 The Kindness Principle assumes and desires the best for all concerned and explains the value of achieving in a way that raises everyone to a new level. Success is never achieved alone - by recognizing everyone involved in your success and leading them to their own, an individual not only establishes himself as a great leader, but finds the peace and security of knowing that his vision extends beyond himself and contributes to the betterment of mankind. It doesn't matter if your deeds reach beyond your family, neighborhood, company, town or state - it is what you accomplish as you find your success that will remain as your legacy. Join Aradia in adopting the Kindness Principle as your guiding principle and become the great leader you were destined to become. A heartwarming memoir that doesn't wallow in the pain and sorrow of an abusive childhood, a desperate and lonely adolescence spent struggling to survive or the overwhelming difficulties of being a single mother raising her children on her own in strange surroundings with no family or friends to rely upon. 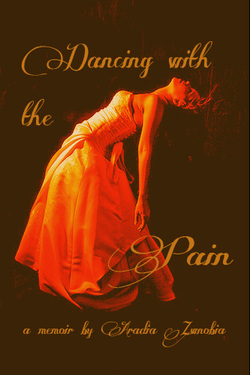 Instead Ms. Zenobia teaches us as she learns herself how to "Dance with the Pain", make it her partner and overcome any suggestion that she might be a "victim". She not only shows, but tells us how she not only survived, but continues to thrive no matter what life throws her way by turning it into a dance. The rhythmic to and fro of moving across the landscape with grace, courage and humor. Step out with Aradia as she recounts her own struggles, epiphanies and sorrows without an ounce of self pity or accepting it from others. In these pages you will encounter a strong woman, a weak woman, a real woman - and you ,might even encounter a little bit of yourself as well.